Riding high on the success of their own independent label,​ Record Breaking Records​, Striker is the fastest growing metal band out of Canada. Their fifth album, eponymously titled "Striker", is a lethal force cut from the former glory of all things heavy metal. 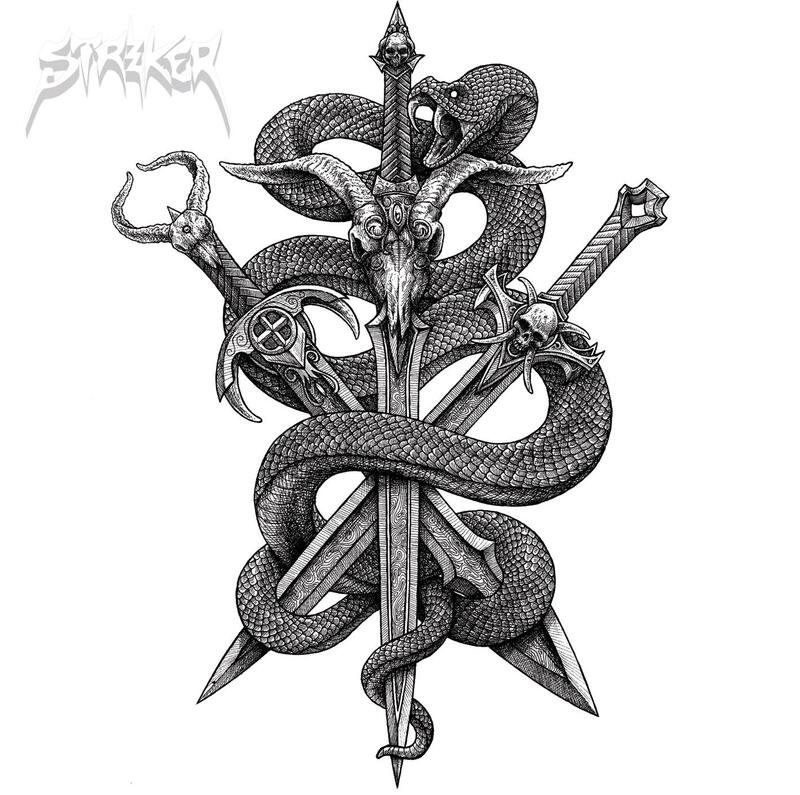 Striker is out for blood with this album, with high profile tours across the globe, a host of new partners, and a growing fan base; there are no breaks on this train. Listeners are locked into Striker’s growing circle pit of melodies that are more catchy than the plague, musicianship more mind blowing than a .50 calibre bullet between the eyes, and live performances with so much energy youcould power an aircraft carrier.​ Full speed or no speed​ is the motto to live by, and going absolutely over the top is the only thing Striker knows. Striker will be on tour in the United States ​from January 15th to February 15th to go with the pre-order campaign for the new album as well as​ direct support for Sonata Arctica in Europe from February 20th to April 10th, with more tours to be announced shortly. Promotional partners include CMM/SAOL, Freeman Promotions, Asher Media Relations, Skateboard Marketing, Maric Media, Strong Coffee, and Adster, with a quickly growing list of additional partners across the globe. Canadian heavy metal maniacs STRIKER are ready to set out on a new adventure with their fourth album “Stand In The Fire“. Striker announce to take off with their buddies SKULL FIST for co-headliner in early November. Confirmed: Striker play at Bang Your Head 2018! Striker on Sonata Arctica‘s "The 9th Hour World Tour 2017"
Striker on European tour with Sonata Arctica, Triosphere and Thunderstone!